Typically, one of the first things that get cut is marketing. We believe this is a mistake because without proper marketing, you will lose potential customers. Warm leads. People looking to buy, and in most cases, right then. When someone searches for something on one of the search engines, typically, they’re wanting something right now. That could be information or a physical product. So, marketing should always be part of the budget, even if it is a shoestring budget. 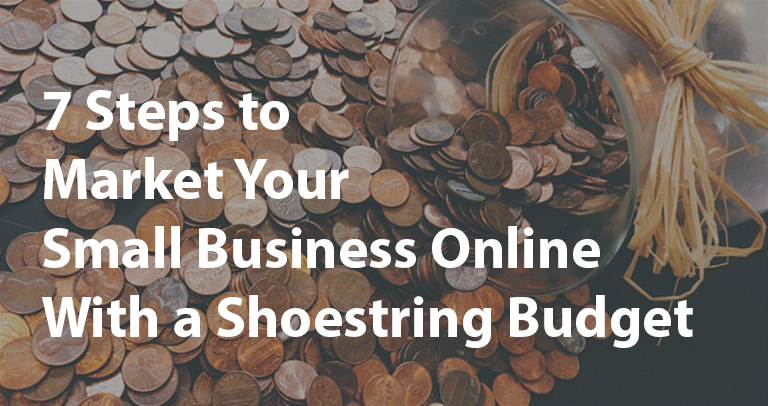 We have some great ideas to help you get started marketing on that shoestring budget. Check it out! In the world today, a website for a business is a must. If a website is non-existent, some people will not even do business with the company. Whereas, if the company has a fascinating website, that can easily be found, customers can be made without ever meeting anyone from the company. 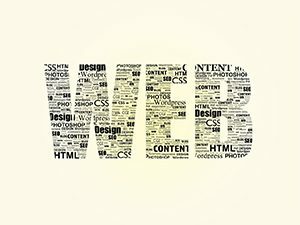 A great website is the foundation of your online presence. Like a brick and mortar presence, a website is an extension of the company. How do you represent yourself in the physical building? A website is the “landing” area for your online presence. You need to represent yourself well. What’s the problem? Typically, you believe that a website is expensive. In days past, it would have been. But, there are so many resources these days for creating great websites to represent your company. Some of the options are good, while others do damage to your online presence. The recommendation we will make is what we consider one of the most powerful solutions available today and the cost is cheaper than a mediocre dinner, but requires some time on your part. Let’s get started shall we? What’s WordPress? 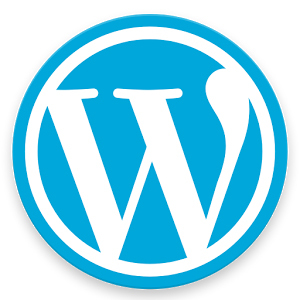 According to Forbes, “WordPress is the most popular CMS in the world and is used by nearly 75 million websites. According to WordPress, more than 409 million people view more than 23.6 billion pages each month and users produce 69.5 million new posts and 46.8 million new comments every month. It also powers more than 25% of the world’s websites.” The coolest thing about WordPress? It’s free! 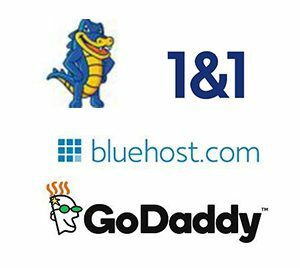 It’s popularity is probably due to the ease of installation, ease of use, and powerful plugins that are all easily accessible and in many cases, completely free. We have built some websites from absolutely nothing at all, to powerful websites with nearly unlimited functionality and never spent a penny. We recommend after installing WordPress as your CMS, that you secure the website, and always be careful installing plugins that may compromise security. Choose a great theme from a variety of resources, but ensure you change out the images on the theme or be at risk of receiving nasty letters from attorney’s offices threatening to sue you for using images that do not belong to you. If you need help with WordPress Installation, we have an installation service for $99.00. See our WordPress page for more information. We know that you may feel that social media is the bane of society as we know it and you may be right. 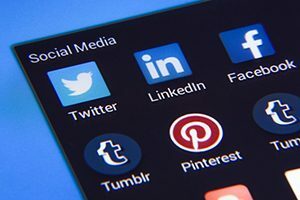 However, how you feel or perceive social media doesn’t change that many of your customers have social profiles and spend a considerable amount of time browsing these sites. 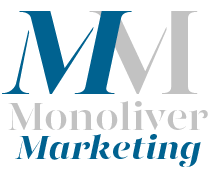 While marketing your business, especially on a shoestring budget, you need to leverage every asset available and every means necessary to get the word out about your product. Setting up profiles on the top social media websites is important for potential customers to get to know you. What type of company are you? They can tell by the things you share. Are you young and hip? Are you old and boring? Are you all business and no play? All of these things come into play when choosing a company to do business with. Instagram has become wildly popular among the millennial generation but they’re not the only ones putting pictures on the website. This is a great website to learn how to market your products on – as with any social media site, it’s all about being social with everyone. Being interactive. It can’t be a one way street, you have to interact on others profiles as well. Commenting, liking, etc. There are a variety of ways to marketing using the Instagram platform. Is a matter of fact, here’s 13 Instagram Marketing Tips From the Experts that you can start with. Remember to be social with others. Share valuable pictures and create valuable videos. The more value you offer, the more likely people will be drawn to your products because they like and trust you. Action Step: Create an Instagram Account. 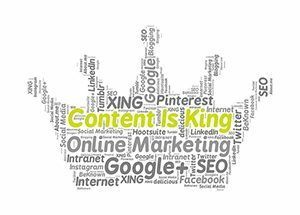 As you read and study online marketing, one thing you will see over and over again is the phrase, “content is king”. Why is this the case? Well, not just content, but great content that provides value to the readers is what people prefer. Search engines stay in business by helping their users find content that they will value. There’s a variety of metrics that helps them evaluate this content. How long does a visitor stay on your site after clicking a link from Google? Do they click more links on your website or do they immediately hit the back button? Yes, Google knows. If you’re not providing valuable content, your site won’t be relevant to the search engines. It will not see you as an authority on your topics because people click off of it quickly and continue their search. So, Google (and other search engines have similar algorithms) won’t continue to show your content first. Gone are the days where you could slap up pages, throw some keywords into the meta tags on your site, and get listed in no time. You can thank the geniuses who took advantage of that to show irrelevant content to the keywords they were abusing. One mistake that people often make when they create their website is searching on Google for graphics and then they use them without permission. This has landed more than one small business owner in front of a judge defending themselves for using intellectual property that doesn’t belong to them. This is why it’s important to create your own graphics, or use creative common works. You can use advanced search to find graphics that you can use commercially and change them up however you want in order to use them. There’s also websites like Unsplash that allow you to use the images they have in any way that you’d like. Presentation is a reality these days. The only way that words on a page are useful is if you’re an amazing novelist and people are reading your creative work. If not, you need to present your article in a great layout with utilizing graphics that you can find, or that you create. There are many websites available like PicMonkey that help you create amaaaazing graphics in minutes like this one: <Create a graphic on picmonkey.com> Utilize graphics in within your content to improve your presentation and prevent your visitors from getting bored. If your content is appealing, it’s far more likely to get shared. You can also create great downloadable content like brochures, printable infographics, whitepapers, and more that can be shared in a variety of ways online. If you create valuable downloadables that people can print and put on their wall or into binders, they will have your company all over it. You can create downloadable content in a variety of ways also using Google Docs, or Sheets. You can easily convert these to PDF for ease of downloading and small filesize. You can also use OpenOffice to create great downloadable content that your visitors can find valuable – Or perhaps, the downloadable content IS your product! Now that you’ve created some awesome content, do you just put it on your website and let people flock to it? No. Not exactly. You need to get the word out that you’ve created this valuable content. How do you do that? Share it with your social media audience. Post about it on your page, share it on your personal profile (if you’ve built up one). Ask your friends to share it with their friends. Share with friends in groups on Facebook, LinkedIn, and whatever social sites you’re using. Soon, you’ll have an avalanche of traffic checking out the content that you’ve created. Don’t stop with sharing on social media. You should search for like minded websites and ask them to review your content or perhaps you can find some broken links (links shared on websites that do not go to any existing website), and they can replace the broken link with your content. Webmasters want their links to work because it helps build authority for their website. Realistically, not everything you try is going to work. You’re likely going to have to put a lot of effort into your different campaigns to learn how to be most effective in your niche. The whole key to marketing online is finding your niche marketing and selling them the products that they want to buy. For instance, if you’re a green apple company, there may be a lot of people out there selling green apples to people. But, how many of those companies are selling green apples to people with an interest in using antioxidants in apples may help reduce the risk of developing cancer? If you’re getting clicks to your content, but no sales, you need to work on your sales copy on the page. Perhaps you need to work on your Call To Action. It’s important to track and tweak what you’re doing until you find what works for your business. Online marketing gets traffic to your website, but once the visitors land, you need to be able to sell them your product. We can help you with that. Thank you for reading this article! I sincerely hope you found it useful! If you need help in any of these areas, please feel free to Contact Us! Have input that will help others with marketing their business online? Please share in the comments below!